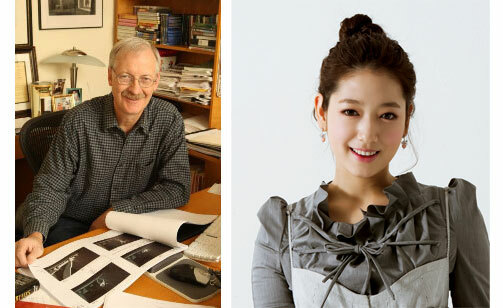 Actress Park Shin Hye is selected as one of the seven judges for the 13th Puchon International Student Animation Festival (PISAF). Held annually, PISAF is a student -oriented animation festival and its concept originated in an idea for joint exhibition of graduation works of Korean animation majors. PISAF features a student's competition section which inspires their creativity, imagination and passion. In addition, PISAF invites students and indie directors from home and abroad and helps branding of their talents through exhibition, workshop and screening. For this year's PISAF, seven 'online judges' are selected to judge the animation entries from students. The judging panel is led by American animation director John Musker who created Walt Disney's celebrated animation 'The Little Mermaid' (1989). Actress Park Shin Hye and 5 other professionals are also on the panel. PISAF will open for 5 days starting November 4 2011. Korean animation film 'Green Days' (2011), which stars Shin Hye as one of the voice dubbers, will be played on November 6 and 8 at the festival. Besides, an educational event called 'Green Days Master Class' will also be held on November 6 at 1-2pm. Congrats ShinHye for a wonderful opportunity to stand side by side with other honorable judges and to be able to screen those up and coming animation majors. Hope you have fun and gain deep insights thru this event. Her film "Green Days" received a lot of positive feedback during its showcase from other festivals. I really wanted to watch it but unavailable. Wow! those magazine scans are simply beautiful. Her hair is very flattering. Oh how i missed her as Lee Gyuwon.